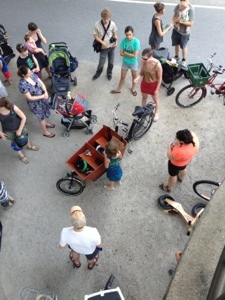 This past Saturday the Philly Bike Coalition hosted the first ABCs of Family Biking here in Philadelphia, the original version was born in DC and is hosted in the Spring by Kidical Mass DC. 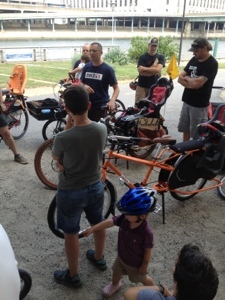 It was a real treat, basically an amassing of parents and bike shops to show off lots of ways to bike with kids of all ages. 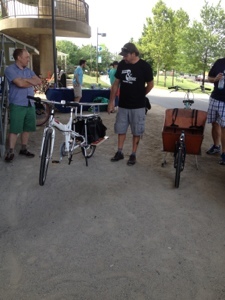 The bike shops that presented and who I hope you go do business with if you are looking to deal local: Fairmount Bicycles, Firth & Wilson Transportation Cycles and Trophy Bikes. 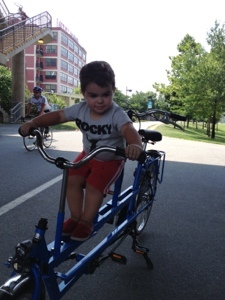 They brought some great family bike options and they are available right here in Philadelphia. 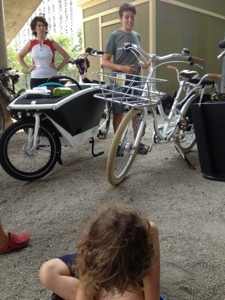 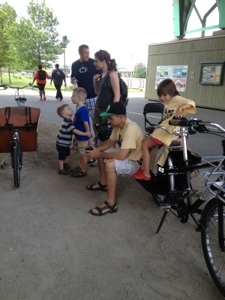 Additionally, us parents rounded out options for others to try out a couple of bakfiets.nl, a big dummy, chariot trailer... Just to name a few! 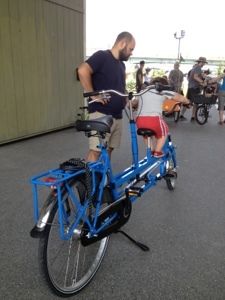 Onderwater Family Tandem is Amazing and I want one when both the kids can pedal. 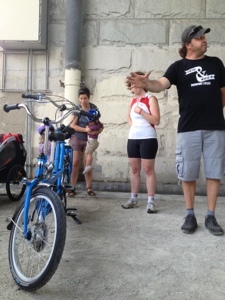 This is carried by Firth & Wilson. 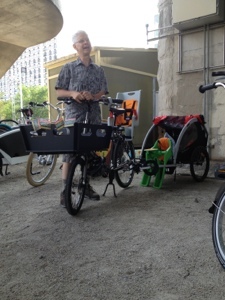 Also M put the first sticker on the Urban Arrow. 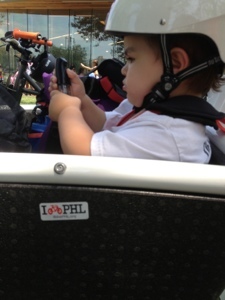 As my husband said at least we don't have to debate where to put stickers now.